#TAP10! Say it with your chest, hommie! Now they often say there is no “I” in team. And by ‘they’ we mean the majority of people who skate by in life parasitically-sucking the life-blood of others who do the hard lifting. However, let’s not digress. In the world of comics, superhero-dom has always been a spectacle when a gifted man or woman or alien does great deeds and feats for the betterment of mankind. But when you throw group dynamics into the mix by making a superhero team, each member endowed with their special set of skills, what you get is a who new horizon of possibilities. 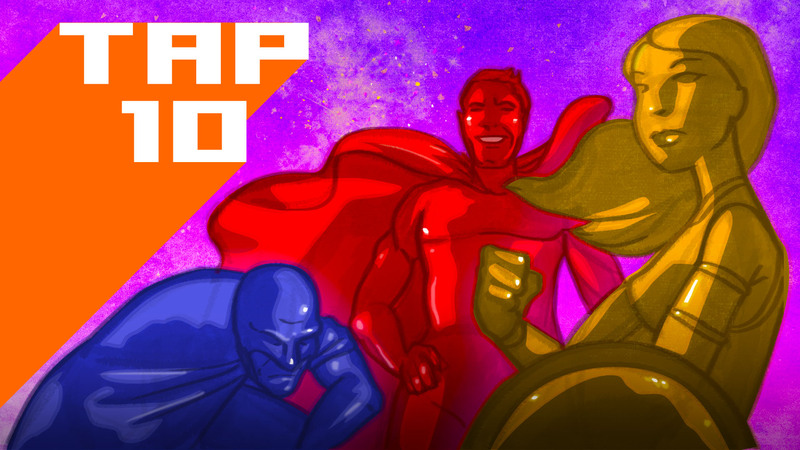 In this #TAP10, we are about to dive headlong into our most iconic, prolific superhero teams of all time. Because whatever the activity, there is nothing better than doing it with a tag team. Whatever the activity. Freaky man. And there you have it! Our top ten list of comic book superhero teams. It is always good to remember despite the odd internal conflict and beef within these groups, it never a bad idea to bounce ideas off of and network with others for the greater good. Steel sharpens steel, as they say. All-in-all, as much as we romanticise the lone wolf and the black sheep, we all need that team effort once in a while to connect with the world and build something for the betterment of ourselves, mankind and the worlds we live in. We know what you're thinking. Where is The Umbrella Company? Or Green Lantern? Or that other group you thought would make the list. Not satisfied, leave a comment!